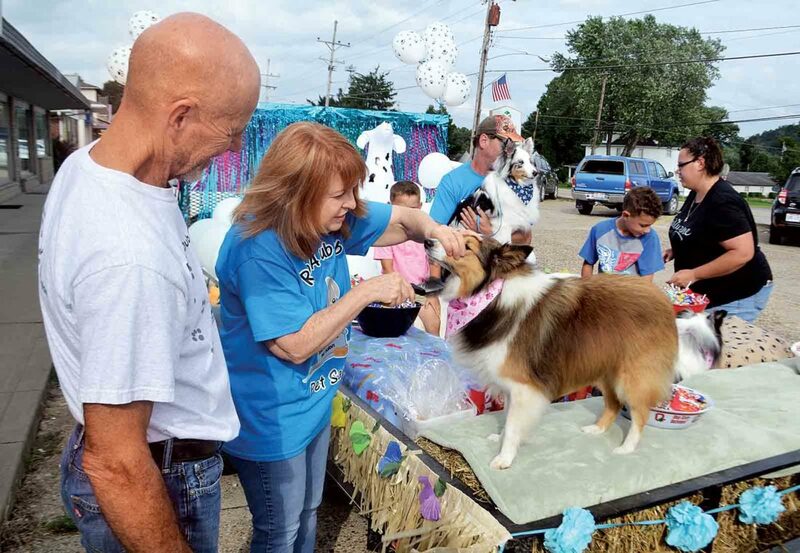 Photo by Michael Kelly Roxanne Huck combs a few tangles out of one of her sheltie dogs as they get ready to move the Rub a Dub Dub Pet Salon float into the Waterford Community Fair parade Friday night. 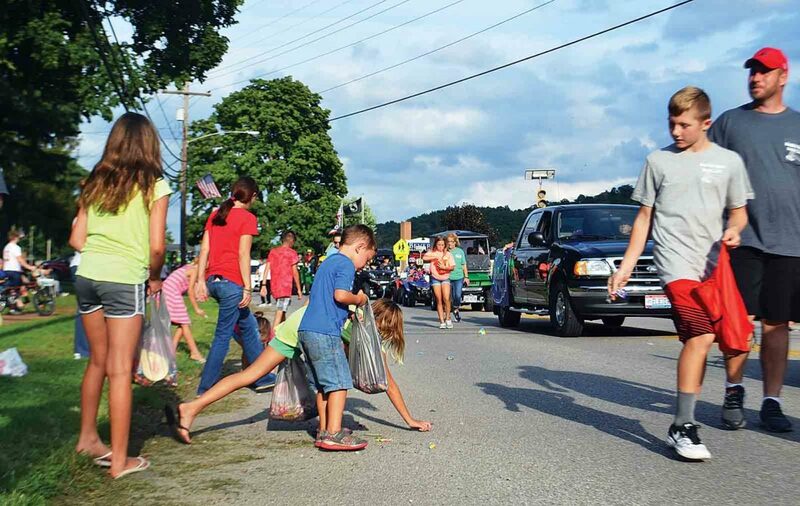 Photo by Michael Kelly Children scramble for candy as the parade meanders by in Beverly Friday evening. The annual Waterford Community Fair parade started at 6 p.m., winding from Fort Frye High School to the Waterford Community Recreation Grounds. Photo by Michael Kelly Several marching bands livened up the Waterford Community Fair annual parade Friday night. BEVERLY — For a few hours Friday night, the people of Beverly-Waterford were watching one another at their best. The Waterford Community Fair started in 1959, and the 2018 parade was a tribute to a tradition honored by both communities. The parade assembled in the parking lot at Fort Frye High School and on the grounds around it, starting around 5 p.m. Half an hour later, the area was packed with floats, fire engines, horses, decorated ATVs, marching bands and squadrons of cheerleaders. Across Ohio 60 in a strip mall parking lot, Roxanne Huck and a group of laughing helpers were preparing a pickup and trailer covered with white balloons and set out with bowls of candy to throw at spectators. Huck, proprietor of Rub a Dub Dub Pet Salon, said it had been an all-day project. “We’ve been working on it since noon. I saw it on Pinterest and thought it was really cute,” she said. The finishing touch was five sheltie dogs, lifted carefully into the float, looking with intelligent interest at the conveyance, one giving a candy bowl an exploratory sniff. Down the street, Ashley Huck was unloading folding chairs at the end of a driveway on the parade route in a prime viewing spot. “It’s my grandmother’s house,” she said, pointing up the driveway while setting up seating for her children Kayleigh, 4, and Owen, 2. The family are regulars at the parade, she said, with some special interest in this one. “My oldest daughter is in the parade, with the cheerleaders,” she said. Lydia Huck, 8, goes to Beverly Elementary. Seniors Flo Parcell and Evelyn Rice both drove up from Lowell. 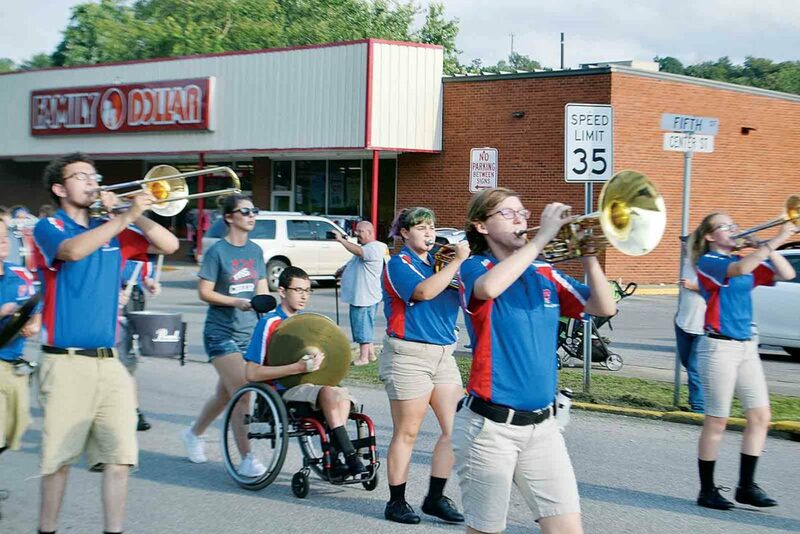 “It’s always a good parade – better than Marietta’s, I think – and it’s a beautiful night,” Parcell said. “They always throw us candy,” Rice said. Parcell smiled and opened her hands to reveal a small bag. Erin Lockhart said she moved to Beverly recently from Lowell to take a job with the school district. 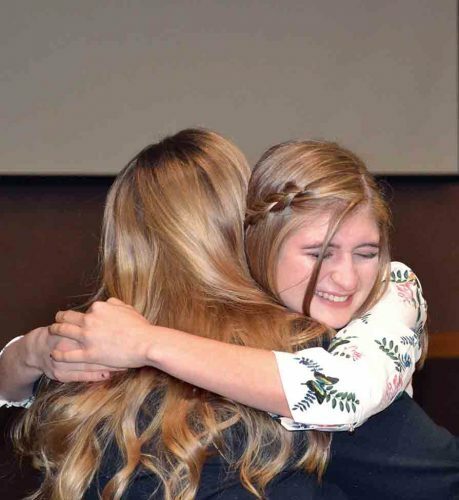 “I love it here,” she said. Her son Owen, 5, stood by looking intently down the road. “For him, it’s the firetrucks and the candy,” she said. Jennifer Wolf, standing with a tandem stroller, said she grew up in Beverly but now lives in Marietta. “I always come back for the parade, and now it’s for them,” she said, nodding at the two girls in the stroller, 4-month-old Nazareth and 2-year-old Eisley. 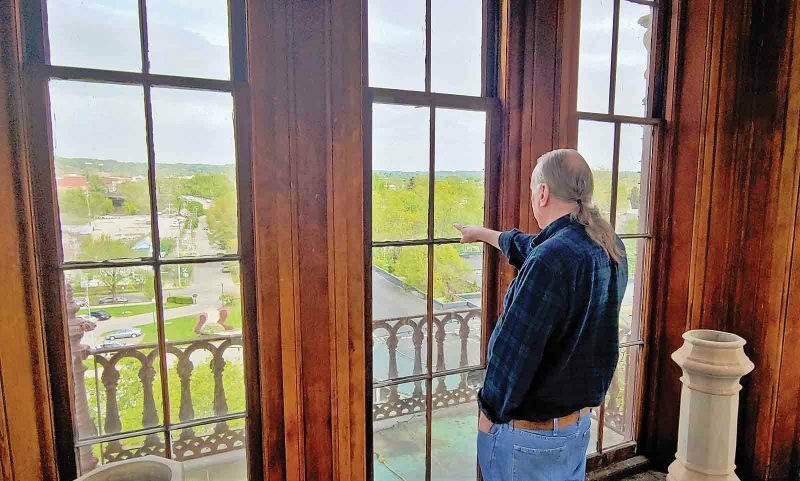 At the Cornerstone Inn restaurant, the point where the parade would turn south to Waterford, Yvonne Huck stood talking in a group on the cafe’s steps. Led by veterans in uniform, with fire engines blaring in the distance and flashing their lights, the parade slowly trundled down the main drag, with smiling people on foot throwing candies and spectators waving at their friends. Horses and riders ambled out after everyone else had moved into line. It took half an hour for the school parking lot to empty out. * Rides will be closed from 4:30 p.m. to 5:30 p.m.
* For more information or to download a fair book, visit waterfordfair.com.